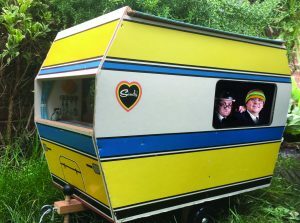 AFTER 25 years on the comedy circuit the Raymond and Mr Timpkins Revue will be making their debut at the Edinburgh Fringe Festival with their “props and puns extravaganza’’ – but the duo will be offering a preview in Surrey first. The pair who specialise in music, silliness, middle-aged men dancing and, er, unsavoury acts, say they’ve been put off going to stand-up comedy’s most famous event because of the expense … and because they’re lazy. The Raymond and Mr Timpkins Revue will be at G Live’s Bellerby Studio on Monday (23 July) as part of the Guildford Fringe Festival. Full details of all the acts on www.guildfordfringefestival.com.